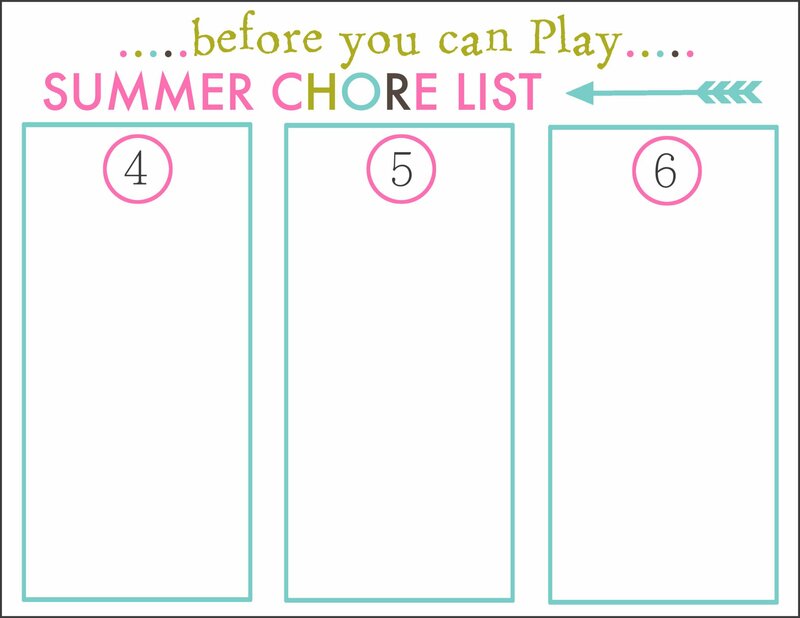 Save your sanity with a “before you can play” chore list! Every summer morning I hear the words “can I play?”, in one form or another. They might be referring to going outside to play, having friends over, wanting me to take them somewhere, requesting screen time, or any number of things that’s on their agenda that day. I got really tired of listing the things off that they needed to do before they could play (even though they already knew), that I decided to make things easier for not only myself, but for the kids too, by making a summer “before you can play” chore list. I hung it on the fridge, and when they want to know if they can play, I just ask if they have everything done on the list! Love! 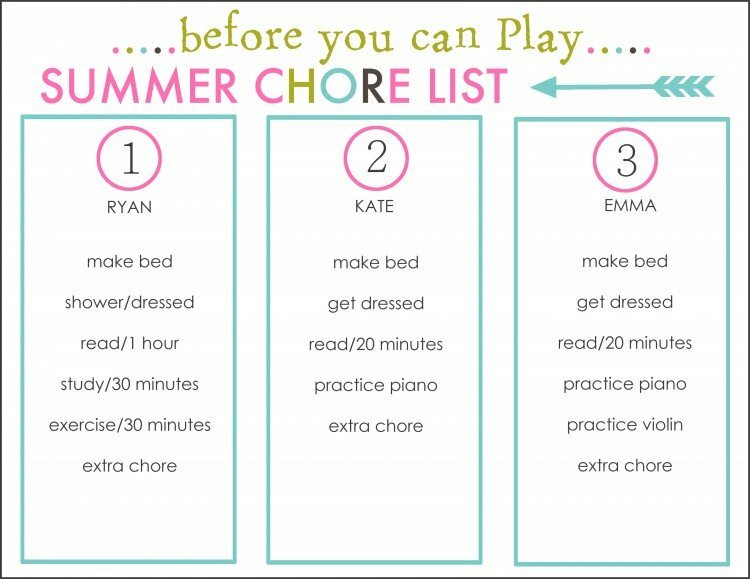 We have a regular chore chart that we use during the school year, but I like to simplify during the summertime. 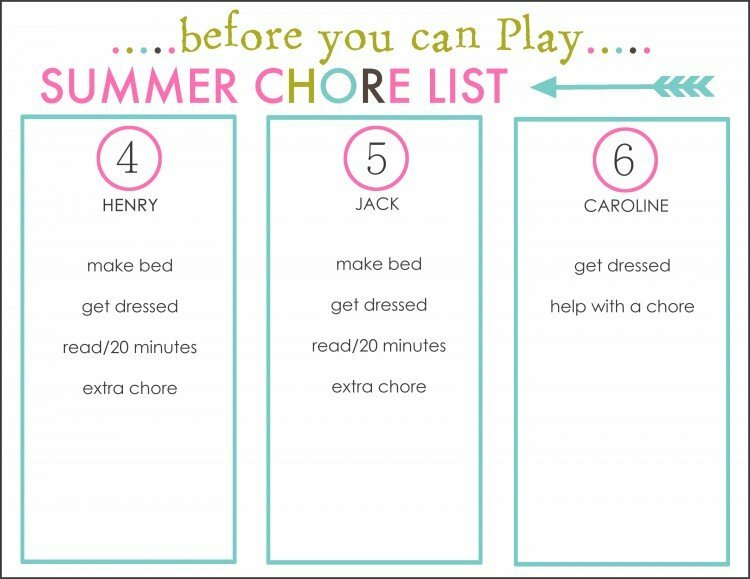 They basically have all the same chores, even homework (reading, workbooks, etc. ), but without school taking up most of the day, it’s easy to caught up in all the free time and not getting the things done that need to be done. To keep on top of keeping the house clean and straightened (especially with more people home for more hours of the day), music practice, and reading/academics, I’ve found that getting it done first thing is imperative to success. It’s so much harder to get my kids motivated if I let them play first, and then try to get them back inside to do it later. I like to get everything done first thing, then we have the whole day to not worry about what has to be done, should be done, or needs to be done. If they do everything on their list, including the 20 minutes of reading and music practice, my girls (3rd grade) are done in a little over an hour. My oldest, a teenager, has things on this list that take longer, but he has more school responsibilities over the summer, and he has a tendency to want to stay on his phone/tablet/computer longer than my little ones. My little boys are 5, and their list will take them maybe 45 minutes, and that’s including the reading, which I do with them. My littlest just turned 2, and she’s just beginning to learn about chores. She gets to get dressed and help with chores, and that’s perfect for her. They still get up early, and that’s usually even if they’re up late the night before, so by 8am-8:30am, they can be done with everything, and we still have plenty of time to go do whatever we want to do for the day. You’ll notice there aren’t things like cleaning their room, picking up the toys/playroom, etc. We have our own family routine of picking up the house every night before dinner, and that will continue. For us, this chart isn’t for that–it’s just to get us started on the right track in the mornings. The beauty of this chart is that it’s blank…and you can create it to be whatever you need to be, or how you need it to work. I created a column for each child that includes everything they need to do before they can ask me to play. I printed it onto white card stock, and after trimming the edges equally, used my laminator–which is seriously my favorite thing ever (affiliate link: this is the one I have and LOVE! )–to laminate them. I added magnet strips to the back, and hung them on the fridge! Now the kids can use a dry erase marker to cross them off as they go, then wipe it off to start again the next day. 1. Save the JPG image below to you computer, saving it to a file and folder you can remember! 2. Go to www.picmonkey.com. At the very top of the page, click on “edit”, and a window will pop up for you to browse and select the image you just saved. 3. Use the text tool in the left hand column to add any text you want. You can change the font, size, etc. 4. Once you’re finished, make sure you SAVE your image to your computer right away. Once the page is closed, it’s gone for good! If you have less than three or six kids, you can always use the extra columns for extra chores they can do–perhaps one for the chores, and the other for the money they can earn. Or even rewards they can earn for doing their chores. Whatever works for you! As always, all images are under copyright of Simply Kierste, and are for personal use only. Not intended for resale or distribution! 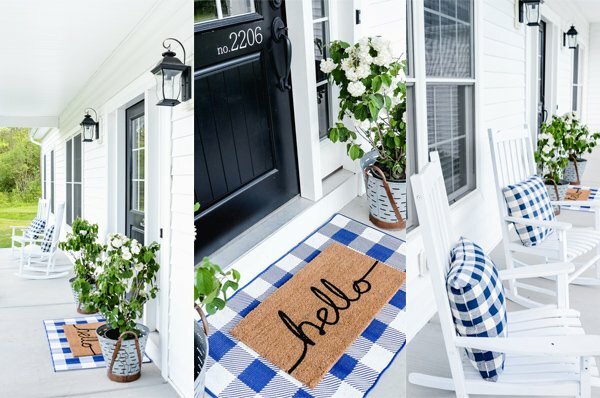 What font did you use for these? Thanks! 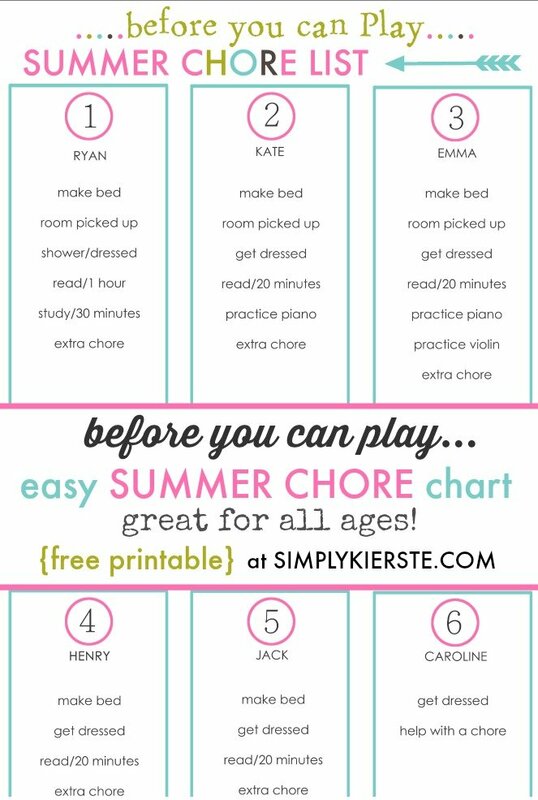 The names, chore, and SUMMER CHORE LIST are all Century Gothic! This is so darling, but I can’t get a pdf to work in picmonkey. I must be missing something? Thanks for sharing the darling printable.